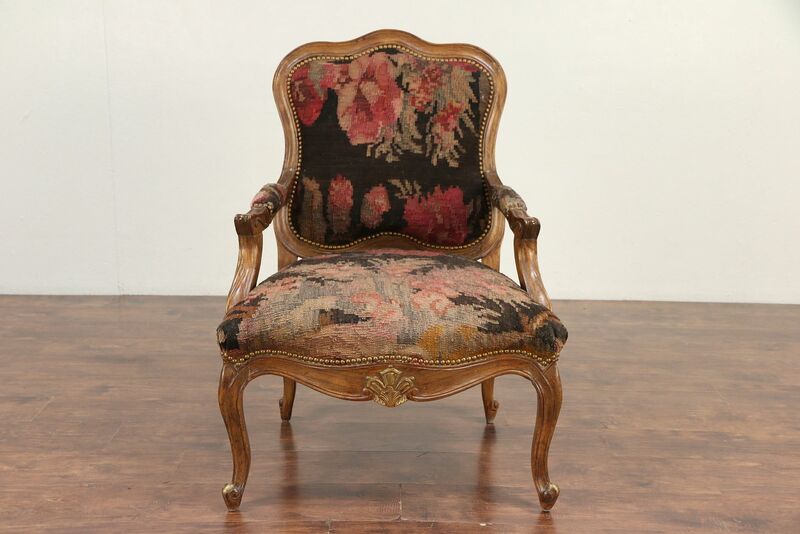 A large Country French armchair was carved of solid hickory hardwood about 30 years ago. The rustic original upholstery with brass nailhead trim is in very good condition. The original finish was "distressed" to look antique, and is well preserved. American made vintage furniture, the frame is tight and strong on this generous and comfortable chair. No maker's signature survives. Size is 30" wide, 31" deep, 41" tall and the seat is 20" high and 22" deep.